A new report from PRDnationwide has uncovered the full extent of the Gold Coast property boom taking place in areas surrounding Commonwealth Games projects. The findings are contained in the PRDnationwide 2018 Commonwealth Games Residential Property Impact Report. The report shows that both houses and units are moving faster than at any point during the past 24 months, with properties spending an average of 48 (a 27.3% decrease) and 55 days (a 43.8% decrease) on the market respectively. House values in almost all of the suburbs surrounding the 2018 Commonwealth Games’ venues have witnessed an average increase of 8.6%, with Southport, Coomera and Runaway Bay witnessing respective house value growth of 7.9%, 10.5% and 10.8%. According to the researchers, this growth has been partially driven by projects such as the Coomera Sports and Leisure Centre, Carrara Sports and Leisure Centre and Southport Athletes Village. PRDnationwide Chairman and Managing Director Tony Brasier said the Gold Coast real estate industry is entering an exciting period. “Our company was founded on the Gold Coast 40 years ago and we have seen numerous market cycles during this time. It’s clear from our new report that the Gold Coast property market has come alive over the last two years,” he said. “PRDnationwide agents on the ground have confirmed these findings, reporting a spike in interest from local residents looking to buy in suburbs close to new infrastructure and gain ‘first mover advantage’. “There has also been an increase in the number of calls from interstate investors looking to take advantage of opportunities on the Gold Coast. According to the Report, the Athletes Village will leave a lasting legacy of benefits for the Gold Coast. The 1200 apartments built for the Athlete’s Village in Southport will utilise liveable housing design, making them suitable for all people; regardless of age, family needs or mobility. Together with a $5 billion infrastructure investment in improving light rail and road upgrades, the Athlete’s Village and surrounding areas are expected to be highly desirable locations. PRDnationwide National Research Manager Dr Diaswati Mardiasmo said that the worldwide exposure provided by the Commonwealth Games is also expected to attract new property buyers on the Gold Coast. “In the year following the 2000 Olympic Games, Sydney experienced a 58% increase in sales activity, while Melbourne saw a 33% increase in sales activity in the 12-month period after the 2006 Commonwealth Games,” she said. 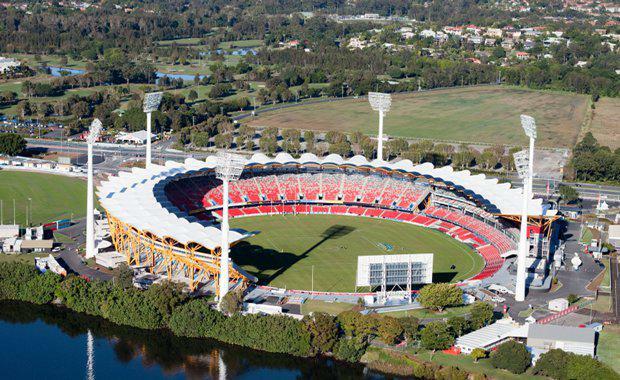 Main image: Metricon Stadium at Carrara will be upgraded to a 40,000 seat venue, and will host the Opening and Closing Ceremonies as well as the athletics.